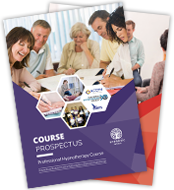 Confidence for hypnotherapists and helping with addictions and addictive behaviours. This workshop is ideal for students who have a basic understanding of hypnosis and wish to develop their practical skills in order to take their knowledge to a professional stage where they can work confidently with clients. This workshop will benefit those wishing to help clients to overcome addictive behaviour such as smoking, gambling, alcohol abuse, etc. 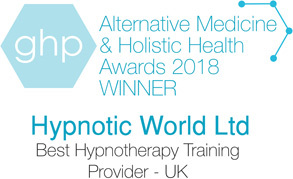 These workshops are in popular demand; however priority is given to students of the Hypnotic World Hypnotherapy Diploma Course so if you are interested in coming along please reserve your place early to avoid disappointment. Maria Page: Maria Page runs a busy practice in Leicestershire. She has been a hypnotherapist since 2005 and deals with mental health issues, confidence building, eating disorders, addictive behavior, anxiety and panic attacks, past life therapy, weight loss, passing exams and driving tests, fears and phobias and also clients who want to develop further in their chosen career. Over the years, Maria has studied numerous courses including NLP, mindfulness, stress management, child psychology, psychotherapy and counseling and cognitive behavioural therapy (CBT). She has written numerous courses and presented workshops, and has a range of clients from young to old, many who see her via recommendation. Maria also hold relaxation classes, teaching others how to de-stress. Students who have reached Module Three of the Professional Hypnotherapy Course, as well as anyone over the age of 21 with a genuine interest in using hypnosis as a therapeutic application is welcome to attend. No previous qualifications are necessary. Parking: There is ample parking available for attendees at the venue. If you choose to cancel 2+ weeks prior to the workshop, a full refund will be offered. Within the last 14 days a refund of 25% will be given. A full refund will be offered in the unlikely event that a workshop is cancelled. Workshop places are payable in advance and include accompanying materials and attendance certificates. Please see below for workshop ticket prices and availability. Please email us at support@hypnoticworld.com or call us on 0800 678 5617 or (01302) 786977 if you have any questions regarding this workshop. *Please note that places are limited in order to provide individual assistance, and will be allocated on a "first-come-first-served" basis. Please reserve your place as soon as possible to avoid disappointment.